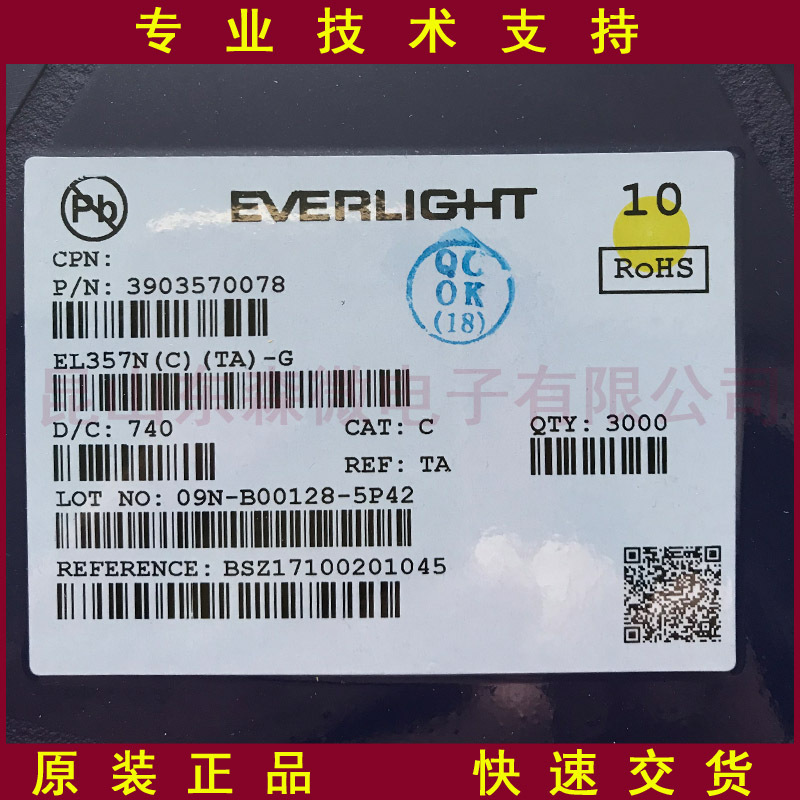 EL357N(C)(TA)-G是亿光的一款3750 Vrm 50 % 最小值 表面贴装SOP-4光耦,我司常备库存. The EL357N(C)(TA)-G is a single channel, ultra small SOP phototransistor photocoupler. It consists of an infrared emitting diode, optically coupled to a phototransistor detector.